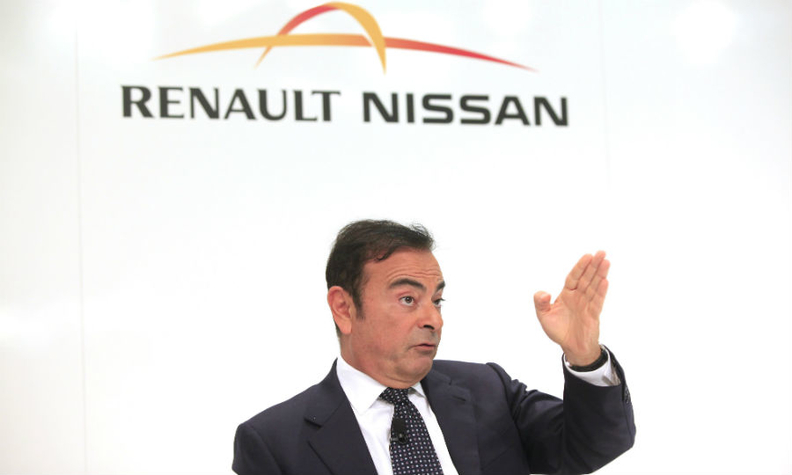 Renault-Nissan CEO Carlos Ghosn wants greater equality in the carmakers' alliance. In a three-page document passed to the French government, Nissan calls for deep changes to the 16-year-old alliance, giving the companies equal weight in joint decisions and "better balanced" cross-shareholdings of 25 percent to 35 percent, government and company sources said. The Nissan demands are a response by Ghosn to a surprise April move in which Economy Minister Emmanuel Macron raised France's Renault stake from 15 to 19.7 percent -- informing Ghosn in a phone call only hours before the transaction took effect. Macron said at the time that the increase was temporary. Macron said today that the French government was opposed to any recalibration of the shareholder alliance between the two carmakers. "We want to maintain the balance of this alliance," he told reporters, repeating his pledge to reduce the government's stake to 15 percent. "The alliance must not be destabilized by changes, adjustments or governance changes that could also lead to conflicts of interest." The Renault-Nissan Alliance declined to comment on the Japanese carmaker's proposals. "Nissan is fully committed to the success of the alliance and the considerable benefits the alliance has brought to all parties," company spokesman Jonathan Adashek said. The French government's stake increase allowed the government to force a permanent doubling of its voting rights through the company's shareholder meeting by blocking Ghosn's proposed opt-out from a new law entering force next year. A retaliatory plan to hand more power to Nissan -- by restoring its voting rights in Renault to counter the government's increased clout -- already has the Renault board's support. French state representatives abstained from the April 16 vote and have since contested its legitimacy, sources said. But the new Nissan proposals, which were outlined in a Sept. 3 note initialed by Ghosn's second-in-command Hiroto Saikawa, go much further. Some aides see Nissan's demands as a ploy to persuade Macron to give up some of the doubled voting rights due to take effect on April 1 -- as France uses the so-called Florange law to wield more shareholder power through its various company holdings. Ghosn's warning shot may be effective only if the government believes he is prepared to follow through with strategic steps against Renault's main shareholder. Such open defiance has been considered before, according to two people with direct knowledge of Renault-Nissan discussions -- and may now be more likely following Macron's April move. In the end, Renault COO Patrick Pelata resigned over the botched espionage investigation, relieving the pressure on his boss and averting a showdown. Nissan is now seeking an equal partnership, based not only on trust "but also by contract," it says, to shield the Japanese company from Paris interference through Renault. Options purchased to ensure a minimum resale price on the shares -- down 13 percent since April -- are now being settled for cash, the government has said, leaving its raised holding intact. The hesitation has little to do with market conditions.